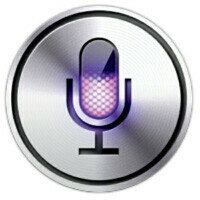 A flaw has been discovered on the iPhone's virtual voice-activated personal assistant Siri. With this bug, someone in possession of your iPhone could get into your Contacts or your Photos without having to punch in a passcode. The bug affects Apple iPhone 6s and Apple iPhone 6s Plus models that are set up to allow Siri to search their Twitter account and Photos app. To see the flaw in action, open Siri and ask Siri to do a Twitter search. If the search results contain data found in contacts, like an email address, use 3D Touch to click on "Add to Existing Contact." Not only does that bring up the Contacts list, that list can also be used to access the Photos on your phone. You can prevent this from happening to you by disabling Siri's Twitter and Photos integration. All you need to do is go to Settings > Twitter and turn off Siri. Once that is done, go to Settings > Privacy > Photos and again, disable Siri. We should point out that the first time you use Siri to search Twitter, you will have to verify that you own the phone via a correct passcode entry, or by using Touch ID. Once that has been completed, those knowing about the bug will be able to break into Contacts and Photos using the flaw as seen in the video below. This is not possible on devices without 3D touch.. this is not a Siri exploit, it's a 3D Touch thing.... This stuff is easy to find on iOS (although this stuff exists on all android devices, PC's, and anything with computer code - that's just the nature of code, because it's written by men)... But iOS devices are very similar to eachother, so it's easy to spot and reproduce this - android are all different, so when you find an exploit in let say LG G5 - no one gives a crap to report it... Anyways, confident that Apple will patch this, very sorry that most android users are still vulnerable to Stagefright!!! Stagefright is fixed even on S2 long time ago. At the same time iOS has 4 times more vulnerabilities than Android! last report it was something like 280 vs 160...not really 4 times but yes ios had more. oh man, I just had this conversation already. Look at the article and go to the sourse website: these are a list of volnurabilities that were patched not volnurabilities that are still in the wild. Angroid may have a lot more than what's listed, but if Google did not address them then they wouldn't be on threat list. I gotta explain this to these kids again since they prefer to look at pictures than to read. The article that someone posted sources the numbers from a website that analyzes updates and patches for fixes that are included in those. Yes Apple patches more volnurabilities that android based on these numbers - but here's the kicker these represent holes that were already patched during the year by Apple or Google. You can also confirm this because every volnurability listed is described as "...before ios9.1, or before ios8.3, or before ios7.2" and so on. The other kicker is it describes android volnurabilities based on versions of android, like so " android 6.x and older, android 5.x and older, android 4.4 and older" and so on. Now consider which platform has nearly 80% running latest update and which platform has only 3% running latest update. You'll quickly realize that android users are the ones sitting ducks with Unpatched holes because they never got updates for newly discovered volnurabilities. It's not how often you fall, it's haw fast you get up. Apple patches thes within days now, android is still laying on their face. @ordinary, Google may have made a fix for stagefright, but there are hundreds of millions still waiting for an update. Sure but reality is there is usually more total hole in ios than on android. Patched or not the total is much more on ios than android ( thanks got they patch it lol ) You mean 80% of ppl going to apple app store use latest version right? Because in reality easily 50% of iphone user i serve at work dont even install app on the phone they use it only for call , text and email. ( to be truthfull same apply to android phone user ) So its easy to play with number like this. As for stagefright like the name say its feel like a staged not real vulnerability as i never had 1 client thats got it so its like a ghost issue thats never happen to anyone strange.. Nothing is invulnerable. Not Android not iOS so do not fool yourself into a false sense of security that iOS is perfect. As you stated it is all coded by men- Both iOs and Android so pointing out that one is more secure than the other is false. Yea but if there's a volnurability - I get my patch in days, vs android users who sometimes wait years. Some vulnerability thats got patched in 9.3 existed since before ios 5.0 lol so dont go there Alik. Those website thats you say give the patched number of vulnerability also usually say since what version those vulnerability are present..
Link to me where it actually says "since before 5.0"? The dark side of the force has clouded your vision, my friend. When I try to do a twitter search siri tells me to unlock my iPhone, guess this doesn't really work. Never mind after a moment siri ask permission to use my twitter account and a simple yes gets you though without unlocking. SMH Apple. 9.3 is working fine I just hate the fact that Apple is becoming too known with so much update numbers. I mean after 9.3 you still have to create more bags to jump to 9.4 huh? Meanwhile android is on 6.0.1 and they're doing fine with not much major problems. The OS with most vulnerabilities. But many thats dont get patched for years... Here some example : CVE-2011-2391DoS	2013-09-19 : found	2015-11-30 : fixed	Complete The IPv6 implementation in the kernel in Apple iOS before 7 allows remote attackers to cause a denial of service (CPU consumption) via crafted ICMPv6 packets. Second example : CVE-2014-1266 2014-02-22 : found 2015-07-10 :Fixed	The SSLVerifySignedServerKeyExchange function in libsecurity_ssl/lib/sslKeyExchange.c in the Secure Transport feature in the Data Security component in Apple iOS 6.x before 6.1.6 and 7.x before 7.0.6, Apple TV 6.x before 6.0.2, and Apple OS X 10.9.x before 10.9.2 does not check the signature in a TLS Server Key Exchange message, which allows man-in-the-middle attackers to spoof SSL servers by (1) using an arbitrary private key for the signing step or (2) omitting the signing step. So as we said before apple not better they do look better because they do update after update but end result is you might have much more vulnerabilities on your iphone than you think and as you have a false sense of security ( thats you should NEVER have no matter what OS and brand you use! ) you leave yourself open. Once again, these are fixed, no one knew about them until this website people analyzed apples update software to list it on their site. Apple saw it and patched it, the after that the website posted it. Just because android has less patched holes, does not mean that they patched them all - they just patched the ones they found - Apple is better at finding their own volnurabilities than android within its own software due to.. (dare I say the "F" word)... fragmentation. Who cares, only can always disable Siri in lockscreen until a patch comes.